Marathon runners face a number of psychological challenges, from dealing with pre-race anxiety to coping with the physical discomfort that comes with pushing yourself over 26.2 miles. Running a marathon isn’t easy, and that is part of its ongoing appeal. We can accept that things will get difficult but that resources are available to help us manage this. In turn, this can reduce anxiety and increase confidence that we can perform well on the day. The ‘RESIST’ project has developed a number of useful strategies to help in managing fatigue and unhelpful emotions both before and during a race. A great way to positively influence emotions, confidence and performance. Excessive focus on physical sensations such as muscular fatigue or breathing can increase perception of effort unnecessarily. Appropriate monitoring of bodily sensations can be used alongside other focusing strategies to decrease perceived effort and reduce the desire to slow down or stop. Consciously focusing on running technique can actually reduce running economy. However, form cues have proven to be effective. A cue is a simple movement related thought to focus on while running. Which cues work for you will depend on your own preferences, and typical aspects of form you look to influence. 1. Accept in advance that the race will be difficult. The challenge is part of your motivation. Embrace it. 2. Reflect on occasions in your training when you have overcome difficult moments. Take confidence from the fact that you have done this before and can do it again on race day. 3. Develop a toolkit of strategies which you can reach into when required. Having a variety of resources available can ease anxiety about your ability to cope mentally. 4. Smile and engage positively with those around, especially the crowd. They will reflect your positivity and bolster your motivation. 5. To quote Ryan Hall, run the mile you’re in. Dismiss thoughts of potential horrors that await and focus on staying tall, running smoothly and relaxing. The steps you are taking are the only ones you can control. Ahead of the London Marathon, a ‘psychological skills to improve your marathon’ event will be held at St Mary’s University in London on April 12. The aim of the evening is to give runners an insight into how they can form a more positive relationship with fatigue. Leading sports psychologists Professor Andy Lane and Dr Carla Meijen will outline strategies for coping with the inevitable tough miles that come in any marathon. 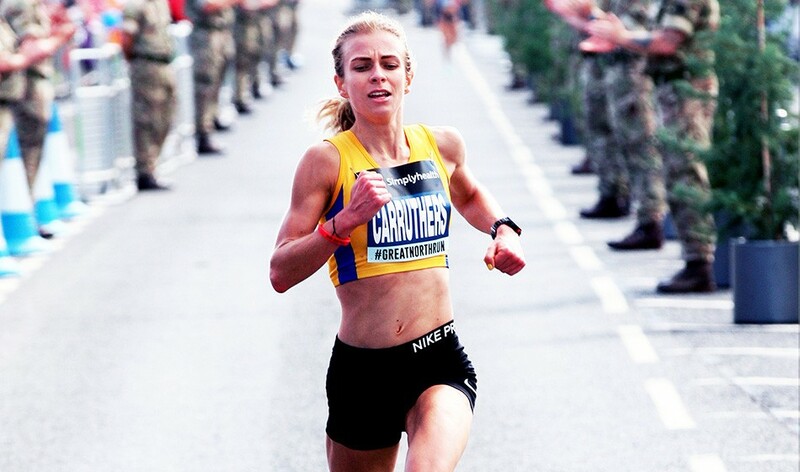 There will also be invaluable insight from elite athletes Hayley Carruthers (pictured), who will be on the start line in London, and Jack Gray into how they deal with the mental challenges which pushing yourself hard present. Preceding the event will be a coached session on the St Mary’s track allowing attendees to engage with fatigue directly before the main discussion. All abilities of runners are welcome, they can do as much or as little of the session as they like and showers will be available in advance of the talk.